Learn how you earn Gardenality Achievements. Gardenality achievements are a fun way to track your participation in the Gardenality community. The more you do the more achievements you will earn. Right now there is only a limited number of available achievements but we will be constantly adding more as the site gets bigger and bigger. 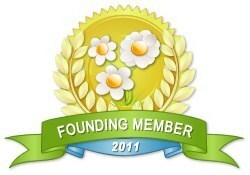 Gardenality’s achievements are awarded as a result of a member doing “stuff” throughout the site. You can either look at an achievement and study its requirements or you can simply use Gardenality and you’ll be awarded the achievements vicariously. What good are medals or Boy Scout badges or road signs with your name on them? They are just a simple and fun way of keeping track of all the things you have done throughout Gardenality. They aren’t precursors for anything, well, except a job at Gardenality. If you end up using the site that much we might just have to hire you because you know it better than we do! The most important part of Gardenality’s achievements is to have fun! Don’t get stressed trying to get them all, just genuinely use the site and achievements will start pouring in before you even know it! "Don't get stressed out trying to get all of the achievements, just genuinely use the site and they will pour in". Is there a list of the achievements you can get? Has anyone done anything done anything on this site besides me within the last year? yes me i'ma newbie Like it! Thanks Elaine-Not sure why this question was answered. Many of us members enjoy and use this site daily.